In the coming weeks and months, the gun lobby/hunting community is going to face a choice. Does it plan on retreating to its bunker and opposing all changes to our gun laws, and continuing to whine and complain and demonize the Police? Or is it willing to identify ways to disentangle its own legitimate right to own a (narrower) range of registered weapons that are fit for purpose – and thereby assist the Police to slowly eliminate the stockpile of illegitimate weapons currently in the hands of the criminal/nutjob fringe? Why should taxpayers be required to massively subsidize a minority hobby – duck shooting, for example? The main argument for doing so is that if gun owners were asked to meet the full costs of owning their weapons, this would deter many of them from registering their guns at all. Even so, that seems a dodgy rationale for bludging on the taxpayer. Rugged individualists that they are, surely most gun owners would be willing to renounce their dependency on a state handout to underwrite their hobby. If guns are so precious to them, surely in future they can be asked to stump up for the full costs of owning them. Otherwise, gun owners really are making all of us complicit in their shooting of animals for ‘sport’. 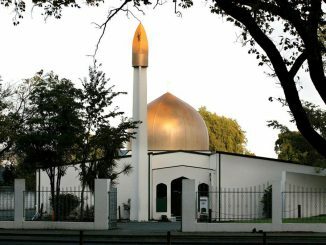 (iv) Given the extent of its failure in providing security, SIS director Rebecca Kitteridge owes an apology to the Muslim community and to the people of New Zealand, on behalf of the service she heads. That would be a start, but in the circumstances, simply saying “sorry” isn’t enough. Presumably, we won’t have to wait for an incel attack in New Zealand before the SIS realises that ideological misogyny too, is a threat that’s not just something to be read about in the international media. According to Kiwi Gun Blog, PM Jacinda Ardern is playing right into the terrorist’s hands. Well, and more to the point though – so is Kiwi Gun Blog by whipping up the fears and resentments of its readers and contributors. As mentioned, the gun lobby faces a choice. It can selectively identify and protect its access to legitimate hunting and sporting weapons and the relevant rights that go with them, and thereby distance itself from the criminal/nutcase fringe – or it can choose to stand in persecuted solidarity alongside them.